These virtual reality wooden sketches of animals by German illustrator and designer Tobias Wüstefeld were created using Tilt Brush, an application paired with the Oculus Rift that lets you paint in 3D space using your room as your canvas. Wüstefeld created a script in 3ds Max that turns the strokes into different kinds of wooden shelves but to me, the strokes resemble built-up houses from slums or shantytowns made from improvised materials. A few weeks ago, I started doing these wooden sketches in Tilt Brush. For me this is a really unique way of working in 3D. It is much more intuitive and reminds me more of sketching than constructing in 3D. I can easily introduce a little bit of chaos into my work. See more of Tobias Wüstefeld's work at his website. 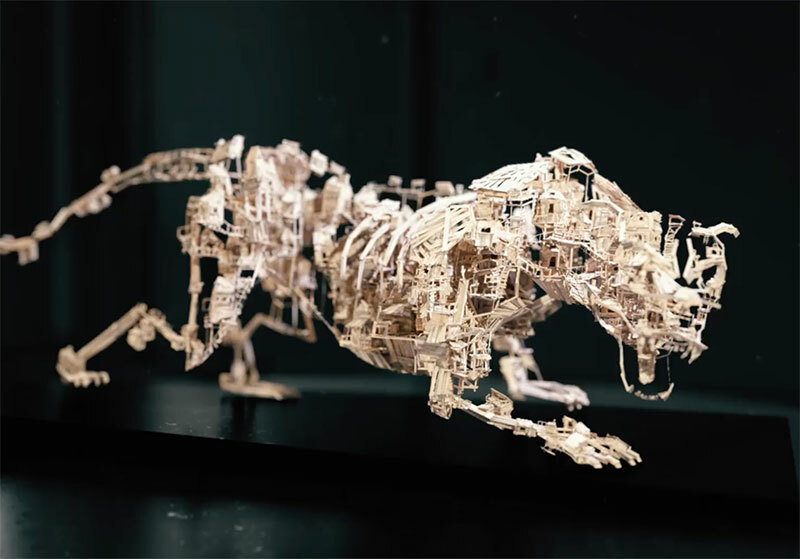 These virtual reality wooden sketches of animals by German illustrator and designer Tobias Wüstefeld were created using Tilt Brush, an application paired with the Oculus Rift that lets you paint in 3D space using your room as your canvas.